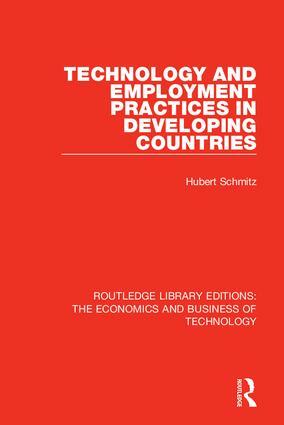 Originally published in 1985, this book analyses the extent and way in which technological change determines the utilisation of labour in less developed economies. The book compares firms which are technologically very advanced with firms which use less sophisticated machinery and equipment, and analyses how technology shapes their demand for labour. It is concerned with the impact of technological change on the utilisation of labour in terms of number of jobs, recruitment, training, skill requirements, labour turnover, wages and internal mobility; it also investigates the impact on the utilisation of external labour in the form of subcontracting of small producers and employment of outworkers. 10. Putting Out - Past or Present?